We scoured Halifax’s bars, pubs and restaurants from the north end to the south end to find all of the happy hours in the city. Click on any marker on the map to see each bar’s drink specials, or refer to our day-by-day list. Fickle Frog: 4 p.m. – 7 p.m. $3 well shots, $4 Sleeman pints, $3.50 house wine. Your Father’s Moustache: 4:30 p.m. – 7 p.m. $3.50 to $6.25 for well shots, local bottled beer, domestic draft and craft beer. Half price appetizers from 5 p.m. – close. Rockbottom Brewpub: 4:30 p.m. –7 p.m. $1 off all draft beers and $3.50 highballs. Rogue’s Roost: 4 p.m. – 6 p.m. $4 half pints and $6 pints of draft beer. Tom’s Little Havana: 5 p.m. – 8 p.m. $4.50 Keith’s draft & house wine, $4 well shots & domestic bottled beer. Bearly’s House of Blues & Ribs: 5 p.m. – close. 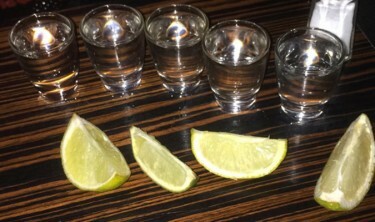 $4.25 well shots. The Fireside: 4:30 p.m. – 6:30 p.m. $3.95 well shots, domestic bottled beer, glass of Jost wine. 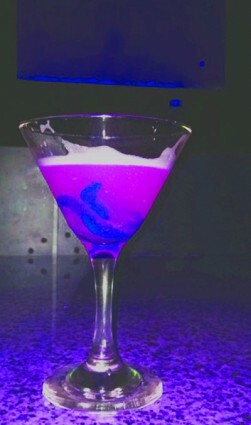 $5 martinis. Niche Lounge: 4 p.m. – close $3.25 well shots & 18 oz draft , $4 house wine, $6.50 select 2oz cocktails. 4:30 p.m. – 6:30 p.m. Select half-price appetizers. Halifax Alehouse: 4:30 p.m. – 10 p.m. $13.50 for Budweiser or Bud light pitchers & basket of wings. 10 p.m. – 3:30 a.m. $3 half pint, $4.50 pint, $7.50 thunder mug and $12 pitchers of Moosehead. Durty Nelly’s Irish Pub: 4 p.m. – 6 p.m. $6 Irish pints and ciders, $5 20oz Coors light & 5oz house wine, $4 well shots & domestic bottled beer and 25% off appetizers. Economy Shoe Shop: 4 p.m. – 6 p.m. $4 Budweiser draft pints & well shots, $5 5-oz glass of house wine. The Stubborn Goat Gastropub: Mondays starting Feb. 2: $6 martinis & $6 double cocktails. Bitter End Martini Bar & Restaurant: 4 p.m. – 8 p.m. $5.65 martinis, $5.50 import draft, $4.50 local draft, $3.50 import bottled beer, $3.25 local bottled beer, $3.25 cocktails. $6 for all food. 4 p.m. – close: $6.25 for select 2-oz martinis. The Argyle Bar & Grill: 4 p.m. – 7 p.m. Mon–Fri $3.25 well shots & 18oz Keith’s, Budweiser & Oland draft, $4.35 Corona, house wine and 18oz Stella draft. The Lower Deck: 5 p.m. – 8 p.m. Large draft for the price of a small. Select appetizers 40% off. Agricola Street Brasserie: 4 p.m. – 6 p.m. $4 for 12oz draft beer or glass of wine. The Gorsebrook Lounge (SMU): 4:30 p.m. – 6 p.m. $3.50 for small draft beer, $14 for pitcher. The Foggy Goggle: $2 off Stella Artois draft. Oasis Pub: All day, every day – $10 pitchers of beer. Saege Bistro: 3 p.m.– 5:30 p.m. $5 dollars for 1 oz. cocktails, draft beer or glass of wine. Your Father’s Moustache: 4:30 p.m. – 7 p.m. $3.50 to $6.25 for well shots, local bottled beer, domestic draft and craft beer. The Fireside: 4:30 p.m. – 6:30 p.m. $3.95 well shots, domestic bottled beer, glass of Jost wine. Niche Lounge: 4 p.m. – close $3.25 well shots & 18oz draft, $4 house wine, $6.50 select 2oz cocktails. 4:30 p.m. – 6:30 p.m. Select half price appetizers. Maxwell’s Plum: All day $4.95 select 12oz draft, $6.95 select 18oz draft. Halifax Alehouse: 4:30 p.m. – 10 p.m. $13.50 for Budweiser or Bud light pitchers & basket of BBQ pork riblets. Economy Shoe Shop: 4 p.m. – 6 p.m. $4 Budweiser draft pints & well shots, $5 5oz glass of house wine. Bitter End Martini Bar & Restaurant: 4 p.m. – 8 p.m. $5.65 martinis, $5.50 import draft, $4.50 local draft, $3.50 import bottled beer, $3.25 local bottled beer, $3.25 cocktails. $6 for all food. The Company House: 4 p.m. – 7 p.m. $4.50 domestic beer & spirits, $5 glass of wine. The Gorsebrook Lounge (SMU): 4:30 p.m. – 6 p.m. $3.50 for small draft beer, $14 for pitcher. $8 thunder mugs of Coors or Molson Canadian. The Loose Cannon: $5.50 for most single malt Scotch. The Foggy Goggle: $2 off Rickard’s Red draft. Bearly’s House of Blues & Ribs: 6 p.m. – close $4.25 well shots. Niche Lounge: 4 p.m. – close $3.25 well shots & 18oz draft, $4 house wine, $6.50 select 2oz cocktails. 4:30 p.m. – 6:30 p.m. Select half-price appetizers. Halifax Alehouse: 4:30 p.m. – 10 p.m. $13.50 for Budweiser or Bud light pitchers & basket of wings. The Split Crow Pub: 9 p.m. – 10 p.m. $2.75 12oz Rickard’s draft. Tom’s Little Havana: 5 p.m. – 8 p.m. $4.50 Keith’s draft & house wine, $4.00 well shots & domestic bottled beer. Bearly’s House of Blues & Ribs: 5 p.m. – close. $3.75 14 oz. draft. Niche Lounge: 4 p.m. – close $3.25 well shots & 18 oz. draft, $4 house wine, $6.50 select 2 oz. cocktails. 4:30 p.m. – 6:30 p.m. Select half-price appetizers. Maxwell’s Plum: All day $4.95 select 12 oz. draft, $6.95 select 18 oz. draft. Halifax Alehouse: 4:30 p.m. – 10 p.m. $13.50 for Keith’s pitchers & nachos. Durty Nelly’s Irish Pub: 4 p.m. – 6 p.m. $6 Irish pints and ciders, $5 20 oz. Coors light & 5 oz. house wine, $4 well shots & domestic bottled beer and 25% off appetizers. Economy Shoe Shop: 4 p.m. – 6 p.m. $4 Budweiser draft pints & well shots, $5 5 oz glass of house wine. The Argyle Bar & Grill: 4 p.m. – 7 p.m. Mon–Fri $3.25 well shots & 18 oz Keith’s, Budweiser & Oland draft, $4.35 Corona, house wine and 18 oz Stella draft. All day Thursday: $4.25 Keith’s, Budweiser, Oland and well shots, 2 for 1 pizzas. The Split Crow Pub: 9 p.m. – 10 p.m. $2.50 12 oz Coors light or Molson Canadian draft. Boston Pizza Granville Location: $8.95 for 32 oz thundermug of draft beer. Agricola Street Brasserie: 4 p.m. – 6 p.m. $4 for 12 oz draft beer or glass of wine. Vinnie’s Pub (MSVU): Thursdays: $4.25 for 18 oz draft. The Foggy Goggle: $2 off Propeller seasonal ale. Your Father’s Moustache: 4:30 p.m. – 8 p.m. $3.50 to $6.25 for well shots, local bottled beer, domestic draft and craft beer. Bearly’s House of Blues & Ribs: 5 p.m. – 8 p.m. Friday: $4.25 well shots. Red Stag Tavern: 4 p.m. – 10 p.m. Large draft beer for the price of a small. Maxwell’s Plum: All day $4.95 select 12oz draft, $6.95 select 18 oz. draft. Economy Shoe Shop: 4 p.m. – 6 p.m. $4 Budweiser draft pints & well shots, $5 5 oz. glass of house wine. The Argyle Bar & Grill: 4 p.m. – 7 p.m. Mon–Fri $3.25 well shots & 18oz Keith’s, Budweiser & Oland draft, $4.35 Corona, house wine and 18 oz. Stella draft. Boston Pizza, Granville Street location: $9.45 for fishbowl with 3 well shots. 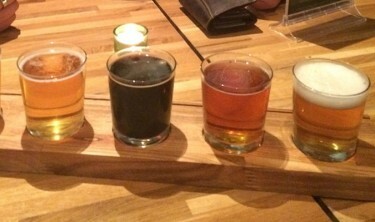 Agricola Street Brasserie: 4 p.m. – 6 p.m. $4 for 12 oz. draft beer or glass of wine. 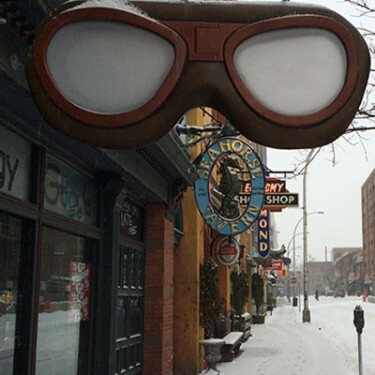 The Foggy Goggle: $1.50 off Keith’s pitchers. The Split Crow Pub: 4:30 p.m. – 5:30 p.m. $2.50 12 oz. Coors light or Molson Canadian draft. Saege Bistro: All day– $5 for 1 oz. cocktails, draft beer or glass of wine. Rockbottom Brewpub: All day – $1 off all draft beers and $3.50 highballs. Rogue’s Roost: 4 p.m. – 6 p.m. $4 half-pints and $6 pints of draft beer. Bitter End Martini Bar & Restaurant: 4 p.m. – 8 p.m. $5.65 martinis, $5.50 import draft, $4.50 local draft, $3.50 import bottled beer, $3.25 local bottled beer, $3.25 cocktails. $6 for all food. 4 p.m. – close: $5.50 doubles, $4 Molson Canadian & Coors light bottles, $10.50 double vodka Red Bull or 3 Jager bombs. The Lower Deck: 5 p.m. – 11 p.m. $4 well shots, $5.50 featured cocktails, half price appetizers. The Foggy Goggle: $2 off Rickard’s white draft.